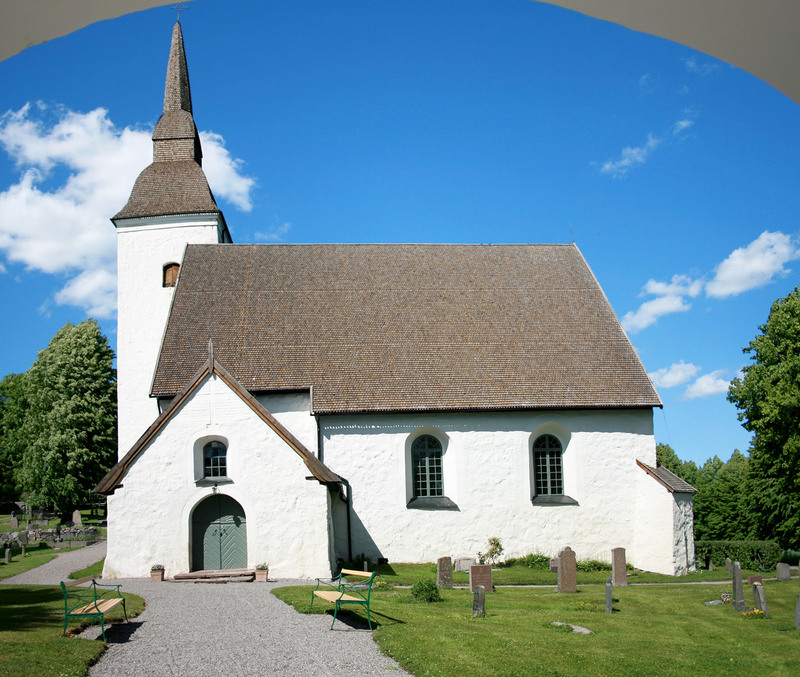 This church dates from the 1100’s and has been the parish church for Åkers Parish since medieval times. Over several expansions, the church has kept its medieval appearance. The stone building was expanded into a probably hall church in the 1300’s with the addition of the nave to the east though the current square nave was added about 1500 A.D. The sacristy and porch were probably built during the 1400’s. In the early 1500’s the nave was extended south to its current double width and the arches from the 1400’s were replaced.